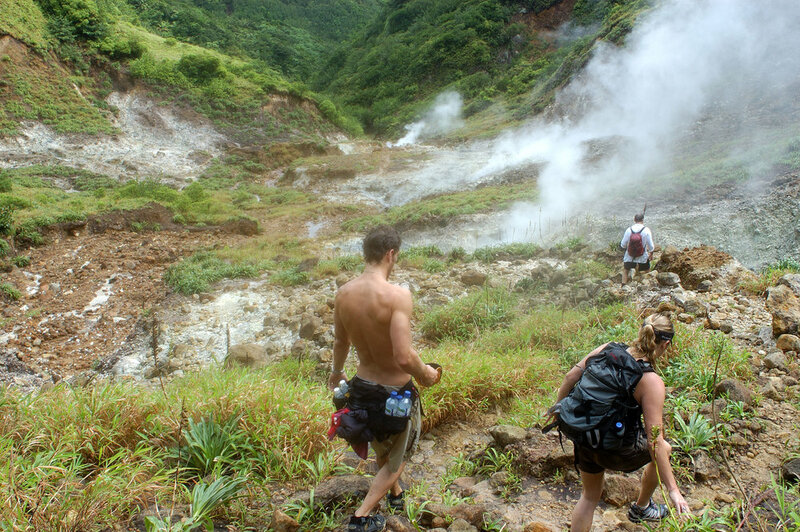 The mountainous is known for its geothermal hot springs, such as the famous Boiling Lake, a steam-covered heated by the island’s volcano, and located within the impressive Morne Trois Pitons National Park – home to the Trafalgar Falls, the Titou Gorge, sulphur vents, and an abundant rainforest. Dominica became the first nation to be certified by Green Globe 21 for sustainable development in 2005, and it’s no wonder islanders are keen to protect their natural assets; with tropical rainforests covering two thirds of the island and being home to 1,200 plant species, beautiful waterfalls, geothermal vents, underwater pinnacles, rare parrots and a steaming lake, it is no wonder this country is often called the "Nature Island". The accommodation options are perfect for visitors who appreciate individuality and smaller setups; think guesthouses or specialised boutique properties, although you will find hotels too. When in Dominica, it’s hard not to notice the mountains soaring 5,000 feet above you. 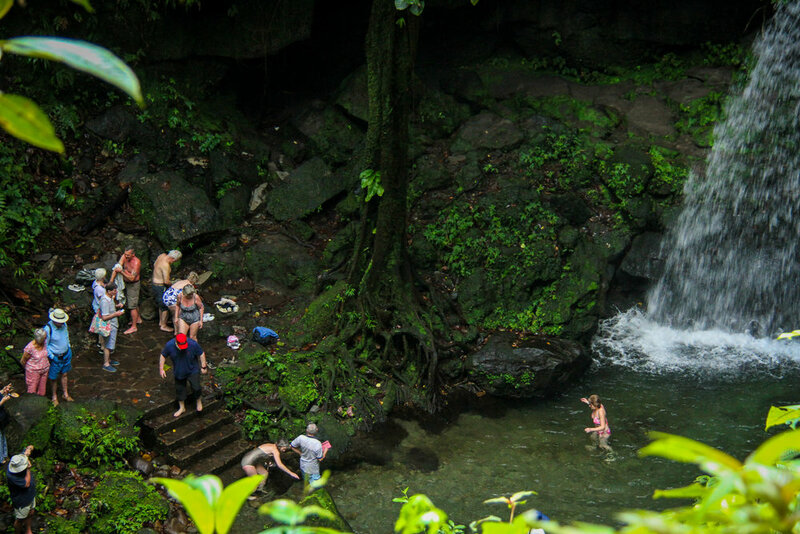 But nature lovers are drawn here for a whole host of reasons, and there is plenty to explore; a thriving rainforest, hundreds of rivers cascading in dramatic waterfalls, rare orchids and bright colourful birds with their sweet sounds. 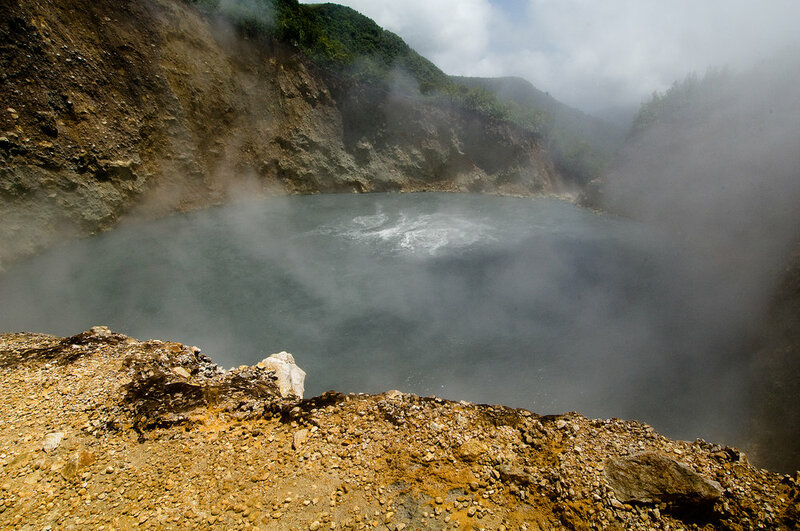 The high level of geothermal activity adds another dimension with colourful hot springs, bubbling mud pools, small geysers and the steaming hot Boiling Lake which the second largest lake of its kind in the world. The sites are found in Morne Trois Pitons National Park, the first eastern Caribbean site to be listed as UNESCO World Heritage. 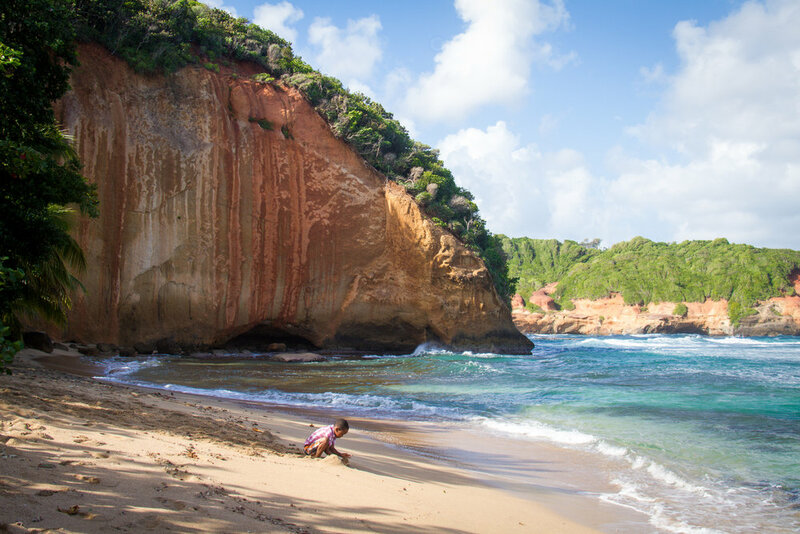 For those who like to get up and about hiking the trails on their Caribbean holiday, The Waitukubuli National Trail will no doubt be of interest to you! The trail is 114 miles which spans and twists the length of this 29-mile long island from Scotts Head in the south, right up to Capuchin in the north. Along the way it passes through coastal villages, woodland hills, lush rainforest, past waterfalls, down to rivers, back up to the mountains and then down again. Or if you want a lesser-known trek, then head up to Victoria Falls; the trek leads to a site where clear white water contrasts with a rust-coloured cliff. At Middleham Falls, you can see a narrow column of water falling 200 feet from a cliff notch. 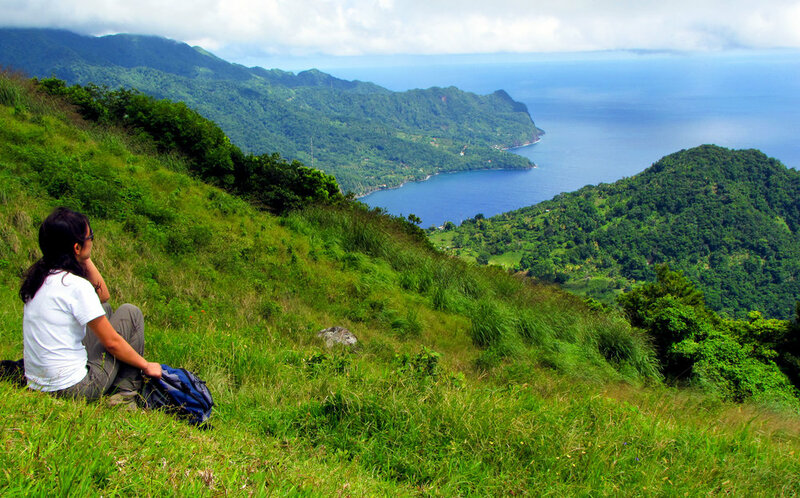 If you want to really get the blood pumping, you can try the strenuous excursion to Morne Diablotin (Devil's Mountain) which is the island's highest peak; look out for two endemic parrots, the Jaco and the Sisserou, the National Bird. If you enjoy the great outdoors but trekking isn’t for you, there are plenty of other options to explore this amazing island. Mountain biking, horseback riding, river tubing, kayaking and jeep safaris are all on offer. 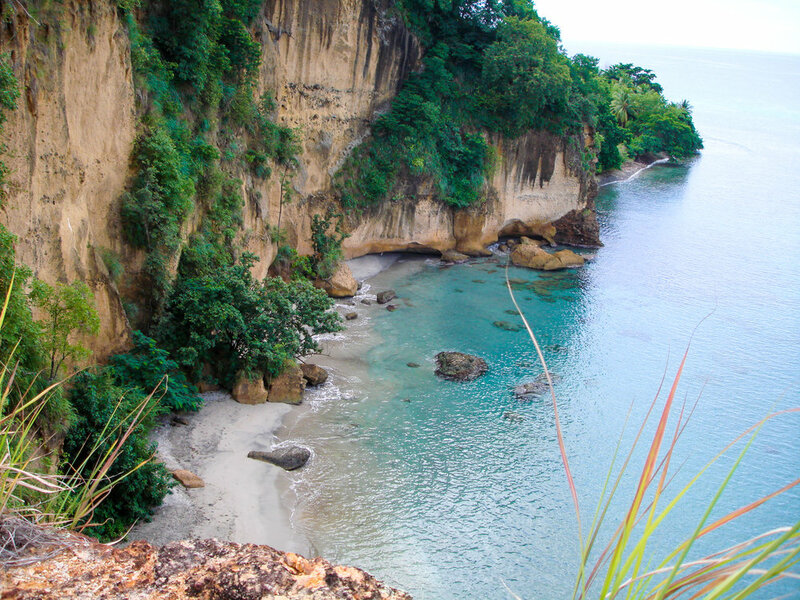 Dominica is found between Martinique and Guadeloupe and is 29 miles long and 16 miles wide. 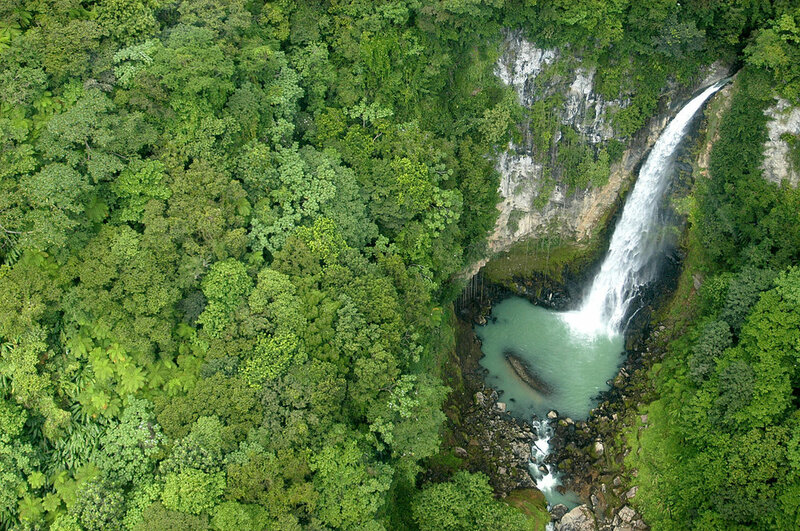 The island is made up a stunning array of topography; rain forests, rivers, waterfalls, lakes and natural hot springs. 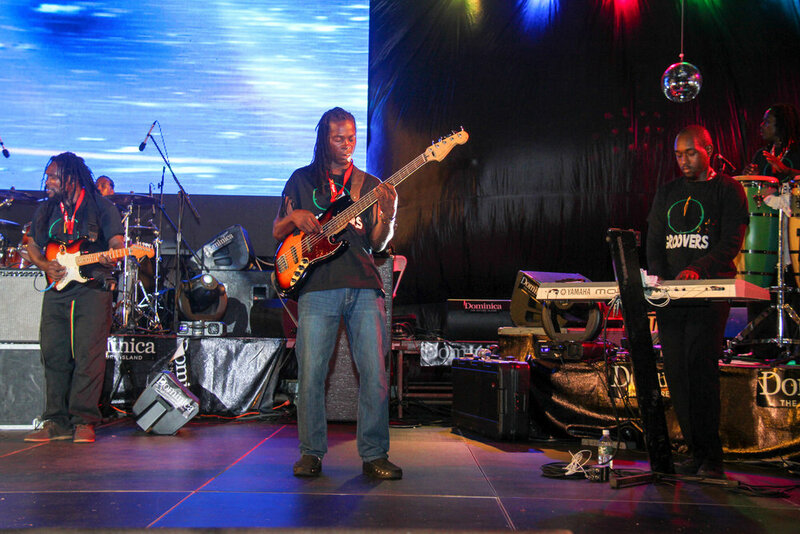 The island's rich culture is a harmonious mix of English, African, French and Carib people and, although English is the official language, the local Kwèyòl (Creole) is widely spoken and Kokoy can also be heard in villages at the North of the island. A relatively untouched island, there are no casinos, fast food outlets, shopping centres or golf cubs here; visitors come to escape all of that and explore the more natural type of hotspots, and if shopping is on the agenda, it’s in the form of nosing through the wares offered by street merchants- handmade pottery or wood carvings. 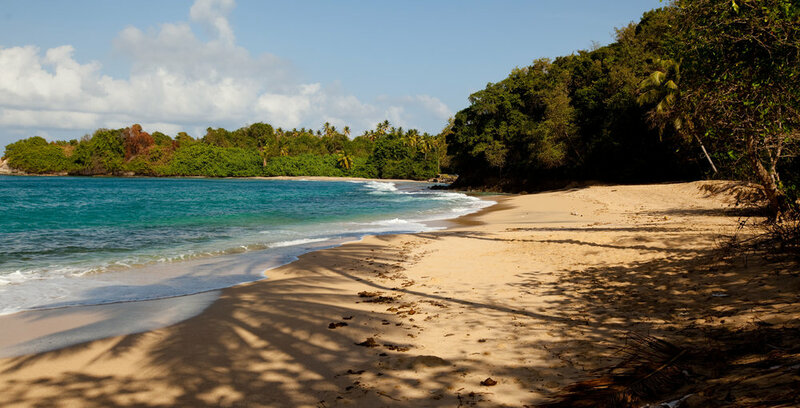 The mountainous terrain in Dominican offers tiny stretches of black sands; the best swimming is in the rivers and springs and therefore offers beach-lovers very little. While the beaches aren’t up to much, you can still find some snorkelling, scuba diving and whale watching. It’s inland where the sports here come into their own; hiking and bird watching through the forests and mountains, kayaking and rafting on the rivers.